One recent book entitled Aging and Decision Making defines Fluid Intelligence as reasoning ability, and more specifically explains Gf as the ability to create, alter, and manipulate various novel information in real time.17 Real time is a great phrase as it helps explain Gf as a major influence on micro activities within day-to-day life. The evolution of any novel problem obviously requires the ability to solve the problem. Therefore, it is very easy to understand how important Gf can be in achieving success in any selective area of life, or in life as a whole. Drawing a comparative line that relates one’s Gf ability to one’s success in performance-based activities is nearly common sense. In the simplest of terms: it would make perfect sense for people possessing higher Gf ability to achieve greater success in situations that require performance, competition, or problem solving. These situations include: school and test taking, research and studying, career and job activities, athletic activity, reflex-oriented tasks, and any other performance-based activity. A more fluid problem solver (someone with a high Gf) would be more likely to calculate or simulate their way out of a problem than someone with a low Gf. The Gf-Gc model of intelligence is the most basic, primitive scale of intelligence, but still the most studied, iron-clad, and the seminal idea that spawned so many other models and scales. Today, there are many more in-depth scales of models of intelligence that all work off the origin of the two-toned Horn-Cattell model of Fluid Intelligence and Crystallized Intelligence.21 The model clearly represents fluid ability as processing ability, flexible thinking and abstract reasoning; while depicting crystallized thinking as a result of accumulating simulations of flexible thinking. What Is the Difference Between Fluid Intelligence and Crystallized Intelligence? Crystallized Intelligence has been defined as many things, but probably one of the best ways would be as “the extent to which a person has absorbed the content of culture.”9 It is important to note that ‘culture’ can mean many things, including but not limited to: the culture of a society, the culture of a learning establishment, the culture of a sport or performance environment, or even the culture of a household. Crystallized intelligence is represented by the symbol Gc. Raymond Cattell deserves credit for first identifying both Gf and Gc, although both were also further investigated and researched by Cattell’s protégé John L. Horn.2 Cattell’s initial research, although rather simple, effectively defines both phrases (Fluid Intelligence and Crystallized Intelligence), as well as how they differ. Cattell explains that mental capacity can be broken down into two kinds of primary characteristics which he labels “Fluid” and “Crystallized” (hence the birth of the phrases). Comparatively, Gc is associated with regions of the brain that store long term memory, namely the hippocampus.10 It is very commonly defined as the ability to retrieve and use information acquired throughout a lifetime.18 In some research and studies, Crystallized Intelligence is called crystallized knowledge, which should be considered a synonym. To summarize, Crystallized Intelligence (Gc) has a lot more to do with long-term memory, whereas Fluid Intelligence (Gf) has a lot to do with attention span, short term memory and new problem solving. It is also worth noting that a higher Gc is obtained more quickly from possessing a higher Gf.2 In other words, those who have high Fluid Intelligence are able to learn more permanent knowledge with value of a broader perspective (wisdom) faster. Can Fluid Intelligence Be Improved? David Geary also explains that fluid ability has evolved throughout the course of human history to match the novelty and change presented along the way.10 In other words, as the various stages of humanity evolved, so did the fluid ability to predict social situations and problem solve. Basic human evolution is evidence that Fluid Intelligence can be improved within the species. Aside from actual evolutionary changes in the human species itself, there are other ways to improve Gf in each individual, living human being as well. Recent research is revealing that people are born with different Gf ability, and that Gf can be predicted via biological data (biomarkers, brain metrics, etc. ).19 Developments like this help neuroscientists, doctors, and pharmacists better understand Gf, its neurobiological foundations, and its impact on the many outcomes of a life. In fact, some Gf performance tests have been developed which have the ability to predict many aspects of life (most notably career achievement, educational success, and social happiness).19 The idea of improving Gf is not new and has been long-sought by many specialists and professionals, and with varying degrees of success. Learning potential in itself has been defined by many sources as [basically] ‘one’s ability to improve cognitive function.’20 Despite its obvious effect on crystallized knowledge as well, learning potential was essentially created as a way to explain the ability to improve decision making and fluid thinking. 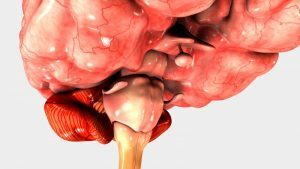 What Nootropics Improve Fluid Intelligence? The substance must enhance learning and memory to some extent. The substance must enhance the resistance of learned behavior and memory to disruptive conditions. The substance must protect the brain from a variety of chemical and physical injuries. The substance must improve the function/efficacy of the cortical and subcortical control mechanisms. There have been many studies on Fluid Intelligence throughout the years, but one in particular proved rather early that Gf absolutely impacts one’s ability to succeed in school subjects. Specifically, the study found that Gf continued to influence Gc in their participants throughout the course of the study. The study lasted between 1972 and 1988, following more than nine thousand children throughout compulsory school.4 The reasons people use nootropics today can vary from person to person, but the most common reasons are for benefits to cognitive enhancements, memory, and Gf. Huperzine A is a special nootropic that has been used for many cognitive advantages, but most notably for increasing acetylcholine. The Pirate Botanicals Piratall and Pirate Blast formulae uses Huperzine A.
Hawthorn is a fruit-bearing nootropic plant also known as Crataegus. Hawthorn is known for its high content of flavonoids, which are typically used to support the circulatory system. Hawthorn has been used for a long time in many cardiovascular or nerve-related tonics. And Hawthorn continues to be a valuable nootropic-adaptogen today. The Pirate Botanicals Piratall formula uses Hawthorn. Siberian Ginseng is another great adaptogen nootropic. The Chinese and many other cultures since have understood the natural de-stressing properties of this powerful adaptogen. In depth phytochemical content analysis and reputable pharma-nutrition studies show that there is great value in E. senticosus; and it is more than reasonable to have found it used in traditional medicine.27,28 Strong adaptogens like Siberian Ginseng can help the brain achieve its optimum balance and lead to better performance. The Pirate Botanicals Piratall formula uses Siberian Ginseng. Many people turn to energy drinks for their boost to attention-span and focus, alertness, cognitive function, memory and physical output.30 And many energy drink companies have recently chosen to eliminate synthetic caffeine anhydrous in exchange for higher quantities of Guarana. Synthetic caffeine has received some bad reputation in recent years due to how hazardous it can be to health in high quantities. Many people die from accidentally ingesting too much synthetic caffeine at once.31,32 Not only is it dangerously easy to overdose on synthetic caffeine, but it is also synthesized using many harsh chemicals. Natural caffeine metabolizes in the body straight from the plant extract and produces energy without the crash. The Pirate Botanicals Piratall and Pirate Blast formulae uses Guarana. Yohimbe is very commonly employed for its stimulating properties and to counteract exhaustion. Yohimbine is the primary active constituent of the Yohimbe tree bark, and it is also an indole alkaloid.33 It has been a part of West African traditional medicine for a long time as a versatile herbal tonic.36 Yohimbe has since spread around the world, becoming a popular ingredient in many supplements and nootropic stacks. Yohimbe is often thought of as an energizing, stimulating, peppy herb. These traits make it an effective inclusion in any energy-based nootropic formula. The Pirate Botanicals Pirate Blast formula uses Yohimbe. 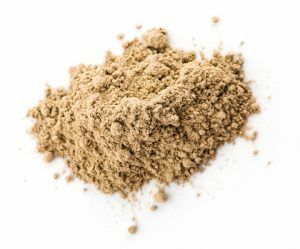 Maca’s incredible cognitive benefits and awesome adaptogen properties make it a strongly valuable nootropic. The Pirate Botanicals Pirate Blast formula uses Maca. Rhodiola rosea contains phenols, alkaloids, flavonoids, and other chemical constituents. It has been used for hundreds of years as a potent adaptogen and to increase physical endurance. Not only have studies revealed an overall benefit/risk balance as being positive, but some studies have specifically mentioned that Rhodiola is effective in temporarily relieving symptoms of fatigue and weakness. It has been additionally indicated that Rhodiola helps with a number of cognitive cerebral functions including: associative thinking, concentration, perception and cognitive reflex improvements, problem solving and short-term memory.46 This makes Rhodiola a highly-influential adaptogen-nootropic for energy-improving supplements and formulae. It also suggests Rhodiola as being especially helpful in keeping the brain clear of extra daily stresses and improving Gf. The Pirate Botanicals Pirate Blast formula uses Rhodiola. The power of being relaxed can go a long way, having real-world impacts in everyday life. For example, a student who is cognitively fatigued will exhibit poorer performance on a standardized test than a well-rested, relaxed student.51 Having a balanced brain is desirable, which means a healthy production of the appropriate neurotransmitters. 5-HTP has such a strong impact on the brain’s production of serotonin, making it a traditionally employed mood enhancer. Being a clinically effective serotonin precursor is likely its greatest value and also the reason it is used for brain-relaxation formulae.50 And it is easy to speculate that a relaxed decision making process can improve Gf. The Pirate Botanicals Pirate Chill formula uses 5-HTP. L-Theanine (aka γ-glutamylethylamide) is well-known for its neuroprotective properties in the brain. L-theanine has also been used around the world in some of the most successful supplement and nootropics formulae for improving mood and promoting feelings of relaxation.53 In fact, the amazing calming effects of L-Theanine and its successful use around the world for adaptogenic and neuroprotective properties well justify its efficacy in many focus oriented-formulae. After all and as mentioned before, Fluid Intelligence potential is much higher when the brain is healthiest. The Pirate Botanicals Pirate Chill formula uses L-Theanine. Additionally, GABA is a prominent ingredient in Passion Flower extract, which has been suggested to help boost cognitive function and the formation of memories.60,61 Basically, Passion Flower extract is a great nootropic for maintaining a balanced brain. The Pirate Botanicals Pirate Chill formula uses Passion Flower. Nootropics have been around as long as mankind, if not longer. There are many nootropics which have been used by cultures around the world for hundreds, sometimes thousands of years for their ability to provide the brain a boost of some kind. The research and studies on nootropics are constantly expanding. It is very common to use numerous nootropics together to achieve greater effects, although achieving a safe formula is still important too! Pirate Botanicals nootropics supplements are 100 percent natural and use pharmacist-approved formulae. Piratall, Pirate Blast, and Pirate Chill are each designed to offer their own version of brain optimization. The above ingredients (and in which products they can be found) may help narrow down the most appropriate nootropics supplement choice for anyone. Remember, all Pirate Botanicals nootropics are considered a daily supplement and work best when used daily. Disclaimer: These statements have not been approved by the FDA. None of this information is meant to substitute for a face-to-face consultation with a physician. Pirate Botanicals products are not meant to treat, cure, or diagnose any disease, illness, or condition. 33Eugene van Tamelen, Maurice Shamma, Albert Burgstahler, Joseph Wolinsky, Rudolph Tamm, and Paul Aldrich, (1958). The Total Synthesis of Yohimbine. Journal of the American Chemical Society. Volume 80 (18). 34Tejada, S., Kim, N. N., Goldstein, I., and Traish, A. M., (May 2, 2000). Regulation of Pre-Synaptic Alpha Adrenergic Activity in the Corpus Cavernosum. IJIR. 12(S20-S25). 37Anadon, A., Martinez-Larranaga, M. R., Ares, I., and Martinez, M. A., (February 19, 2016). Interactions Between Nutraceuticals/Nutrients and Therapeutic Drugs. Nutraceuticals: Efficacy, Safety and Toxicity. Pages 855-873. 40Stone, M., Ibarra, A., Roller, M., Zangara, A., and Stevenson, E.J. (2009) ‘A pilot investigation into the effect of maca supplementation on physical activity and sexual desire in sportsmen’, Journal of Ethnopharmacology, 126 (3), pp. 574-576. 41Stojanovska, L., Law, C., Lai, B., Chung, T., Nelson, K., Day, S., Apostolopoulos, V., and Haines, C., (February 2015). Maca Reduces Blood Pressure and Depression, in a Pilot Study in Postmenopausal Women. Climacteric. DOI: 10.3109/13697137.2014.929649. Retrieved on September 24, 2018. 42Rubio, Julio & Yucra, Sandra & Gasco, Manuel & Gonzales, Gustavo. (2011). Doseresponse effect of black maca (Lepidium meyenii) in mice with memory impairment induced by ethanol. Toxicology mechanisms and methods. 21. 628-34. 10.3109/15376516.2011.583294. 43Popenoe, H., (1989). Little-Known Plants of the Andes with Promise for Worldwide Cultivation. National Academy Press. Washington D.C.. Chapter 8. Pp 56-63. 44Greenwood, MRC, (June 9, 2008). Use of Dietary Supplements by Military Personnel. Institute of Medicine of the National Academies. Chapter 1. Pp 30-31. 45Erdman Jr, J., (December 9, 2005). Nutrient Composition of Rations for Short-Term, High-Intensity, Combat Operations. Institute of Medicine of the National Academies. Pp 290-306. 46HMPC, (March 12, 2012). Assessment Report on Rhodiola Rosea L., Rhizoma et Radix. European Medicines Agency: Science, Medicines and Health. Retrieved from EMA Europa (http://www.ema.europa.eu/docs/en_GB/document_library/Herbal_-_HMPC_assessment_report/2012/05/WC500127861.pdf) on September 24, 2018. 49Weinberg-Wolf, H., Fagan, N. A., Anderson, G. M., Tringides, M., Dal Monte, O., and Chang, S. W. C., (January 30, 2018). The Effects of 5-Hydroxytryptophan on Attention and Central Serotonin Neurochemistry in the Rehsus Macaque. Neuropsychopharmacology. Volume 43. Pp 1589-1597. 50Birdsall TC. 5-Hydroxytryptophan: a clinically-effective serotonin precursor. Altern Med Revised Edition: 1998. Volume 3(4). Pp 271-280. 52Kapalka, G. M., (2010). Nutritional and Herbal Therapies for Children and Adolescents. Practical Resources for the Mental Health Professional. Chapter 8. Pp 219-256. 53Kapalka, G. M., (2010). Nutritional and Herbal Therapies for Children and Adolescents. Practical Resources for the Mental Health Professional. Chapter 7. Pp 191-218. 56Akhondzadeh, S., Naghavi, H. R., Vazirian, M., Shayeganpour, A., Rashidi, H., and Khani, M., (January 12, 2002). Passionflower in the treatment of generalized anxiety: a pilot double‐blind randomized controlled trial with oxazepam. Journal of Clinical Pharmacy and Therapeutics. Volume 26(5). Pp 363-367. 57Cristancho, M. A., O’reardon, J. P., Thase, M. E., (November 20, 2012). Atypical Depression in the 21st Century: Diagnostic and Treatment Issues Psychiatric Times. Volume 28(1). 58Kaviani, N., Tavakoli, M., Tabanmehr, M., & Havaei, R. (2013). 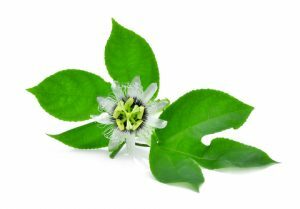 The Efficacy of Passiflora Incarnata Linnaeus in Reducing Dental Anxiety in Patients Undergoing Periodontal Treatment. Journal of Dentistry, 14(2), 68–72. 61Goldman, B., and Yoon, J. H., (November 15, 2016). 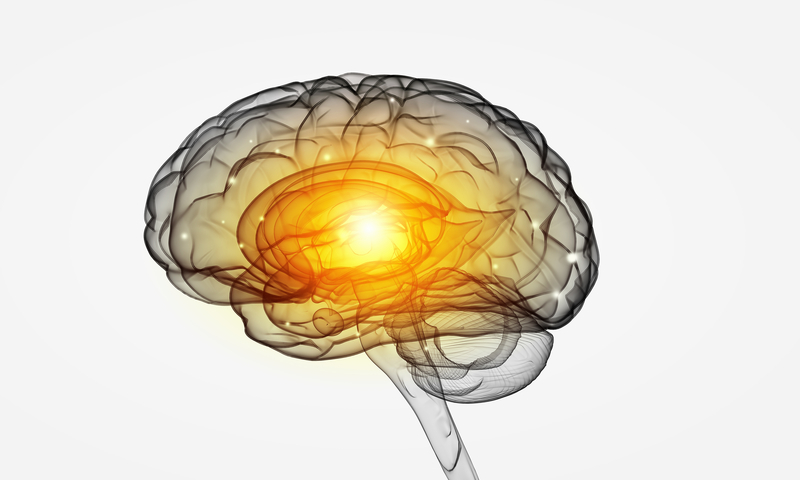 More GABA in one brain region linked to better working memory. Stanford Medicine News Center. Accessed from Stanford BIO-X (https://biox.stanford.edu/highlight/more-gaba-one-brain-region-linked-better-working-memory) on September 25, 2018.